Make His paths straight.’ Now John himself was clothed in camel’s hair, with a leather belt around his waist; and his food was locusts and wild honey. Then Jerusalem, all Judea, and all the region around the Jordan went out to him and were baptized by him in the Jordan, confessing their sins. What must of us know John comes from his name “the baptized.” Yet, this man clothed in camel’s hair is more than the Baptist – he is perplexing. Stepping back from Matthew: Who was this wild man? What was his message about? And what is the relevance today? Elizabeth – wife of Zechariah and descendant of Aaron (first priest), barren “getting on in years,” relative/kinswoman (possibly cousin) of Mary of Nazareth, the mother of Jesus. Mary, mother of Jesus, relative of Elizabeth and perhaps of well-known Jerusalem family – one that traditions says owned Garden of Gethsemane. Joseph, (adoptive) father of Jesus, married Mary only after being talked into it by an angel. A carpenter by trade. Jesus, son of Mary, born 6-4 BC just before the death of king Herod the Great. Herod the Great (died 4 BC) client king of Caesar Augustus at time of Jesus birth. He died shortly thereafter. Herod Antipas, son of Herod the Great, was made tetrarch of the Galilee by Rome. He was the ruler who would order the beheading of John the Baptist. And later, Jesus would stand trial before Antipas before being put to a temporary death by crucifixion. … Herodias, 2nd wife of Antipas, who herself was formerly married to Herod II (or Herod Philip I), a half-brother of Antipas. Salome (?) – the unnamed daughter of Herodias is reputed to have danced before Antipas so becomingly that he offered up her to half his kingdom. She asked only for and received the head of John the Baptist on a platter. Elijah – is the Old Testament prophet who some people of Jesus’ day say has returned in the likeness of John the Baptist. Much as Elijah was charged with the mission of challenging the idolatry of King Ahab and his wife Jezebel during Old Testament times, so John would take on the mission of challenging the illicit relationship between Herod the Tetrarch and his wife Herodias (the former wife of his half brother Herod Philip). Josephus was born a bit after the ministry of Jesus to parents of priestly and royal ancestry. Even before turning 30 years of age, Josephus served as commander of the Jewish forces in Galilee at the beginning of the Jewish insurrection against Rome, before surrendering to the Roman army in 67 AD. Like Benedict Arnold, Josephus then flipped to the other side, becoming an adviser to the Roman General and future emperor Vespasian. 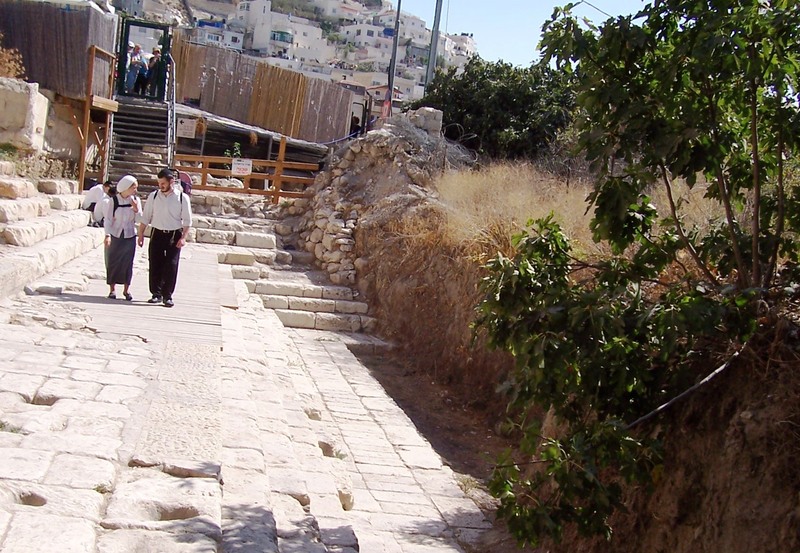 In this new capacity Josephus attempted (but failed) to negotiate a surrender by resistance forces in Jerusalem – with the result being the total destruction of the holy city in 70 AD. In later years , Josephus became a prolific historian – who wrote major books still available today: The Jewish War (c. 75) and The Antiquities of the Jews (c. 94). There are only three persons associated with Jesus and the early church that Josephus mentions in his writings. He does mention Jesus, but only as a one-paragraph (and hotly disputed) sidebar to his main story. Josephus has much more to say about two other figures in the Jesus movement – John the Baptist and James the leader of the Jerusalem church. The reason he writes about these two followers of Jesus and not others is that they were important figures in the political as well as the religious events of 1st century Judaism. And maybe it’s not coincidence – but the Baptist and James are also both blood relatives of Jesus. We are now ready to take a look at what the Jewish author and historian Josephus has to say some 65 years after the death of John the Baptist. Now some of the Jews thought that the destruction of Herod’s army came from God, and that very justly, as a punishment of what he did against John, that was called the Baptist: for Herod slew him, who was a good man, and commanded the Jews to exercise virtue, both as to righteousness towards one another, and piety towards God, and so to come to baptism; for that the washing [with water] would be acceptable to him, if they made use of it, not in order to the putting away [or the remission] of some sins [only], but for the purification of the body; supposing still that the soul was thoroughly purified beforehand by righteousness. Now when [many] others came in crowds about him, for they were very greatly moved [or pleased] by hearing his words, Herod, who feared lest the great influence John had over the people might put it into his power and inclination to raise a rebellion, (for they seemed ready to do any thing he should advise,) thought it best, by putting him to death, to prevent any mischief he might cause, and not bring himself into difficulties, by sparing a man who might make him repent of it when it would be too late. Accordingly he was sent a prisoner, out of Herod’s suspicious temper, to Macherus, the castle I before mentioned, and was there put to death. Now the Jews had an opinion that the destruction of this army was sent as a punishment upon Herod, and a mark of God’s displeasure to him. What was the punishment of Herod about? Well, Josephus records earlier that it was for the taking of his half brother’s wife unto himself – the same sin that John the Baptist railed against. That divorce got Antipas into trouble not just with John, but with King Aretas, the father of Herod’s first wife Phasaelis. Conveniently enough, a dispute arose with King Aretas over territory east of the Jordan on the border of Perea and Nabatea, and war ensued. History records that Antipas did not go down easily. He appealed to Roman emperor Tiberius to help but the emperor died before reinforcements arrived. Antipas not only lost a war to the father of his first wife, but he went on to lose his kingdom – under the reign of emperor Caligula and at the instigation of his nephew Agrippa, who was brother of Herod’s 2nd wife Herodias. Antipas and Herodias would spend the remainder of their days in exile in Gaul (today’s France). Now you probably have been told more than you ever known or wanted to know about the life of John the Baptist – about his political role as well as his spiritual mission. So, let’s turn to a question about his theology. For John the Baptist, the purpose as stated by the gospels Matthew and Luke was a “baptism of repentance for the forgiveness of sins.” But, as we just read, the Jewish historian Josephus has a different interpretation – that baptism was primarily for “the purification of the body,” not for anything about repentance. A Mikveh is a bath used for the purpose of ritual immersion in Judaism. Biblical rules require full immersion in water to regain ritual purity after impure incidents contacts ranging from sexual activity to eating meat from an animal that died naturally. A person was required to be ritually pure in order to enter the Temple – creating a thriving business for pilgrims coming to Jerusalem as during Passover. During the time of Jesus, there was an “explosion” of purity among the Jewish population in Palestine. There are countless excavated mikvehs around at least two sides of the Temple Mount. One can literally spend hours wandering around and through baths such as the one pictured on the screen. 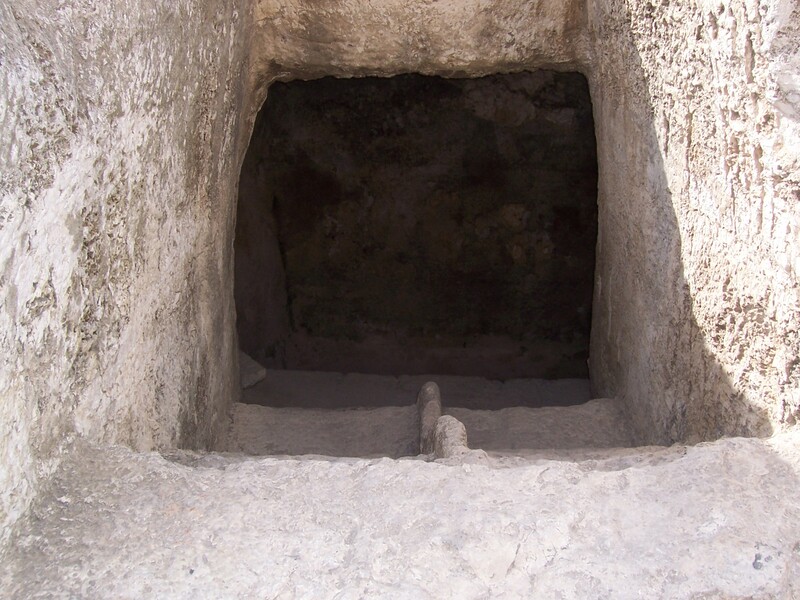 As you see, this particular mikveh has a low raised partition which is thought to have separated the descending impure person (on the right) from the pure person leaving the bath (on the left). More common are also smaller mikvehs with a single stairway – intended for no more than one person at a time. The wealthy had their own purification baths, right in their own homes. And there were larger pools as at Bethesda and Siloam (pictured as the place where Jesus sent a blind man to wash and receive sight). These were designed to accommodate almost all of the ritual purification needs of the large numbers of Jewish pilgrims who flocked to Jerusalem at festival time. So we have different pools for persons of different means and needs. An observant Jew would use the pool for purification. John was on to something else when he spoke of and practiced baptism not just for purification, but for the more fundamental requirement of repentance. How are we to deal with John’s message and politics? For an answer, look to Jesus. Consider the occasion when John’s disciples come to Jesus and asked: “Why do we and the Pharisees fast often, but your disciples do not fast?” Jesus avoids taking this head-on but instead responds by comparing himself to a bridegroom –saying don’t fast while the bridegroom is with you; that can wait till later. And later, after John has been imprisoned, he sends his disciples to ask Jesus: “Are you the one who is to come, or are we to wait for another?” Jesus again avoids a direct answer, telling the messengers to tell John to look to Jesus’ example as one who heals the blind, the lame, the lepers, and the deaf – who raises the dead and brings good news to the poor. In effect, Jesus both confirms John’s role and John’s fallibility in preparing the way for the kingdom of God. Despite being given a God-critical mission, John remains as much or even more a questioner of his faith than others who enter the kingdom. Whether it’s with Jesus relative John or with us far removed from the action 20 centuries later, we don’t always get it. But maybe that’s ok, so long as we demonstrate humility like John, acknowledging that we are not even fit to carry Jesus’ sandals. God calls some of us to be out on point all the time – or perhaps most of us to be on point some of the time – preparing the way for glimpses of his kingdom on earth as it is in heaven. Don’t worry that we don’t fully measure up – that we often get confused or need to ask questions along the way. If John the Baptist could question his savior and his theology, then so might you or me. God can use us as we are – even with our questioning and our doubts. When you move down the path of following this master, consider your baptism as an on-going event. The baptism of repentance, the baptism of the Holy Spirt and fire, and the baptism of purification. Heavenly Father, thank you that you call people like Elijah and John to prepare the way for your kingdom. Thank you for the courage and the willingness to question and to learn the wisdom that you impart. Help us to do our part when we are called to act as agents on your behalf – whether in matters mundane or monumental.